So here I am again. (see I am keeping up my promise of coming here often!) I did finish my self-assigned target of writing (for my fourth book) and hurried here to keep my date. Someone asked me on Facebook whether I sleep :) Made me smile. Then I thought about all that I did today and realised it was blog-worthy :). Woke up: 5:45 am (without an alarm. My body just had enough sleep) and let my dog into the garden. Made black coffee. Made Idlis and Red chutney for lunch, Toast and fried eggs for breakfast. While the above was cooking on the stove, I did my yoga. I did 30 suryanamskars consecuitvely. Yes, 30! :) Then did a few more Asanas. Then did a few crunches on TRX. (Google it if you do not know about it). Made this card while the kids were getting ready. Then I sent the children to school and Husband left for work. Skype chatted with a good friend in the U.S for about 40 minutes. After the chat, I got down to checking the messages on facebook and also wrote this post about the 'Busy Elf'. Then I worked on my fourth book and wrote about 2400 words. (Yay!). Felt happy with the progress and some of the rather marvellous sentences I churned out. (even if I may say so myself). Immediately mailed the completed chapters to satish. Shared the 'marvellous' sentences with a good friend who praised it. Had a nice long relaxing time in the Jacuzzi. Treated myself since I completed my writing goal. The kids came home at 3.30. Made them some Iced tea and delicious mayo-carrot-onion sandwiches. Took the dog for an hour long walk. Walked around in my garden admiring the yellow hibiscus and clicked a picture and tweeted about it. Completed reading 'The Graveyard book' by Neil Gaiman (felt super-motivated. Neil Gaiman is my new God.). Started reading 'One Moment one Morning' by Sarah Rainer. Did research for the next chapter I am working on in my book. While I was researching I applied a face-pack. Thought of scaring the courier guy while I had the mask on but refrained. 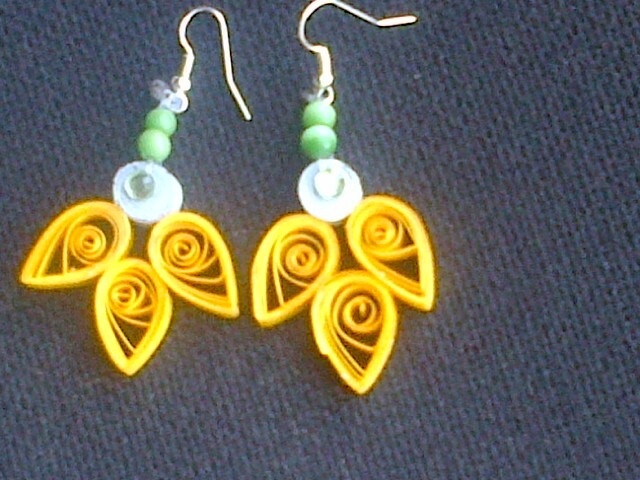 Made these quilled ear-rings. I am trying making quilled ear-rings for the first time. Had brief exchanges with fellow authors Madhuri Banerjee and Kiran Manral and Durjoy Datta. I posted a whole lot of interesting stuff on my Twitter including how to calculate your sleep cycle in order to wake up refreshed. Replied to posts on my Facebook page. And I told my family today that I wish the scietists invent some pill, where if you take it, you get an equivalent rest of eight hours sleep. I would be the first to take it! I don't do it deliberately. Really. I do it as I know no other way. Addendum: After reading some of the comments I am hastening to add, that ALL my days are not like this! I am no super woman! There are days when I do nothing ( well I read and sleep) whole day :) But the one I blogged about--it was one of those super-productive days--that's all! It's okay if I just put my feet up all day and either worked or relaxed, right ;)? Please say yes yes yes! Edema and Sciatica and a painful plantar wart on the right foot (along with the Buddha belly) are trying to create a havoc....but all it takes is those subtle hiccups n small kicks from within to keep a smile on my face and carry on! I struggle so much to get work done and I always have spillover for the next day :( Need to watch the clock more seriously. I haven't been visiting blogger much lately. Growing up is getting to me. HAD to read this post because you're one of the most productive people I know. Whoa....that was some action packed day Preeti.. but the best part is you seem to be loving each moment of it and living it to the fullest. That is what is inspiring!! Whoa..That's like a superwoman! This post is actually a wake up call for me..
And now I suddenly feel so guilty about wasting so much of my time sleeping. I hope sleeptiming.com does some magic! Phew!! Ya that's way too much! Ur hardwork and a go getter attitude are truly are an inspiration for me:-). The earrings r super pretty and unique. i visit your blog frequently not every day though.. a lot of nice writing.. i would definitely read your book if i get my hands on it..iam in singapore.. recently turned a SAHM.. so i am hoping to have a lot of time at hand... btw your schedule inspired me.. if iam home i fail to plan my day.. so ends up with a choas.. how do u manage cooking and cleaning with all your writing?? do u have a maid?? The card is awesome. And your day seems to be super duper productive:) But didn't the doorbell ring???? 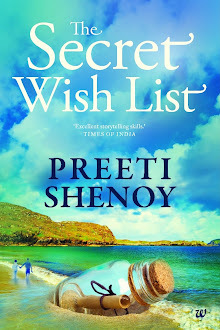 All the best for your fourth book...eagerly waiting!!!! i just finished your book "Life is what you make it". And I want to say that I loved the book . It is really awesome. And, sorry because I downloaded the pdf version from the Internet. I was so eager to read the book . I just want to tell you that although I am only a 20 yr old guy , still I could identify with the state of the protagonist . It is really a heart-touching story. Dear Preeti, u just dont know how much we feel motivated after reading your blog..you write as if we r talking face to face :) well nice card, cute ear-rings and I really salute your positive attitute for Life :) this is how I wud like to spend that one day..dont know if I wud really wud b able to do it...anyways lots of love and wishes..
Snehal: thank you and you never know until you try! sarabjit: I had written a post about what I think about online piracy. I spent two years of my life writing that book. Shakti: I have someone who cleans the house but I do all the cooking myself. Aathira: I did nothing when my kids were as small as yours! 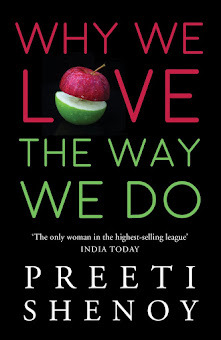 hi preeti, just finished reading your book life is what you make it. It left me with rolling tears in my eyes when i was reading the letter of ankita to vaibhav and the last sentences of her letter have totally made my mood down as i took your book to heart. I should tell you this, you have got a good narration skills. But i felt good on over all after reading the book. I think i am going to read it once again. thanks for such a wonderful work of fiction.